After breakfast, proceed to the Summer Palace. It was originally the imperial palace and garden of the Qing Dynasty known as the "Royal Garden Museum". 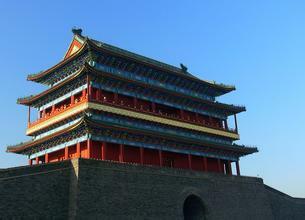 It’s the largest and best preserved imperial garden with exquisite scenery and many precious cultural relics. Along the road we pass by Zhengyangmen Gate Tower ,It is the gate to the south of Beijing and the existing gate tower and Arrow Tower appearance Zhengyangmen Gate Tower. Then go to Beijing's very famous commercial street Qian Men antique commercial street, there are a number of old restaurants, shops, as well as snacks around the pool, shopping for the enjoyment of food. Also the most famous Xianyukou Delicacy Street where you see famous time honored shop everywhere .